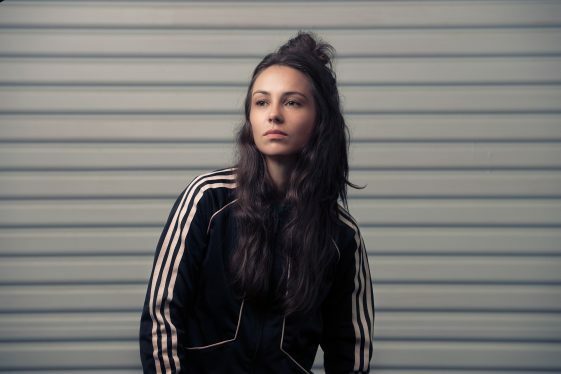 (Los Angeles, CA)—Today, Australian singer-songwriter Amy Shark releases her brand-new track “Don’t Turn Around” along with the lyric video. The track will be included on her upcoming debut album entitled Love Monster, which is set for release on July 13th and is available for pre-order now via Wonderlick Recording Company/Sony Music Entertainment Australia/RCA Records. Fans who pre-order the album will receive “Don’t Turn Around,” her latest single “I Said Hi,” and breakout song “Adore” as instant-grats upon purchase. Amy Shark just wrapped up the second leg of her North American headlining tour, which was supported by label mate TOMI, and included festival appearances at Hangout Music Festival and BottleRock Napa Valley. She will also be performing at this year’s Osheaga Festival in Montreal on Friday, August 3rd, at Lollapalooza in Chicago on Saturday, August 4th, and at Life Is Beautiful in Las Vegas in late September (September 21st – 23rd). Gold Coast, Australia-based musician Amy Shark has hit the ground running with the enormous success of her brooding, coming-of-age single “Adore” (Click HERE to watch the music video), which is not only certified Triple Platinum in Australia, it was #1 on the Australian iTunes and Shazam charts, and came in at #2 on triple j’s Hottest 100. She has also previously toured with Vance Joy and Bleachers. This past fall, Amy Shark was also featured as one of Apple Music’s Up Next Artists, for which she released an Apple Music documentary short film, an exclusive interview with Beats 1’s Zane Lowe, and performed on CBS’ The Late Late Show With James Corden. NBC’s Last Call With Carson Daly also featured Amy Shark’s performance of “Adore” (Click HERE) and “Weekends” (Click HERE) filmed live at The Fonda Theatre in Los Angeles. Most recently, Amy performed “Adore” on The Tonight Show Starring Jimmy Fallon. Additionally, Amy’s latest single “I Said Hi” has seen massive success in Australia since its release. The track has reached #1 on Shazam’s Australia Hot 100 Chart, #1 on iTunes, #1 on the airplay chart, and reached the Top 15 on Spotify in Australia. “I Said Hi” has over 7 million Spotify streams, over 9 million worldwide streams to date, and the music video has over 1 million views (Click HERE to watch). It has also been featured on a number of playlists including Spotify’s Rock This, Digging Now, Contemporary Blend, New Noise, Fierce Femmes, and more, as well as Apple’s Future Hits, The A-List: Alternative, Beats 1 List, Alt/Pop and more.